The Northern Sewage Outlet may not sound like a place of magic, mystery and beauty, but local walker Chris Crook enthuses about this strip of land over the outlet pipes now known as the Greenway. Fellow Newham Striders member and poet Jane Grell paints a picture of the area’s industrial and architectural past to add to the wonderment of walking through history. 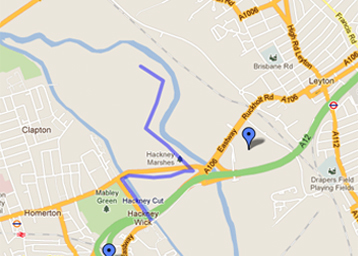 The Newham Striders and Ramblers walk group are an urban walking scheme offering walks for residents, adults with learning difficulties and visitors. They aim to provide a social, enjoyable opportunity for individuals to improve health and fitness levels. The walks take place in and around Newham with the majority in local parks. The Saturday walk is aimed at the more experienced walkers or people who want to progress to a longer more challenging walk.